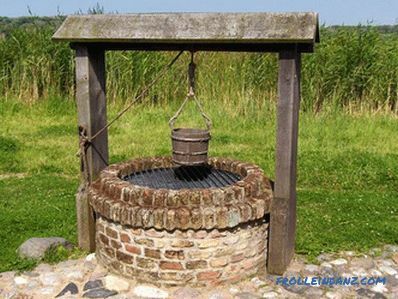 The presence of a natural water source not far from the house (a well, for example) is a prerequisite for comfortable living in areas deprived of centralized water supply. Owners of private housing, located in areas remote from the center, are very careful about the sources at their disposal, trying to protect them from weather and destruction. 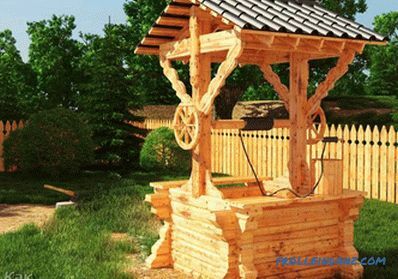 For this purpose, it has long been customary to close wells with small wooden buildings that can protect them from pollution and also protect them from damaging natural influences. In addition, such buildings (if they are made with the soul) may well become an ornament to the surrounding landscape. 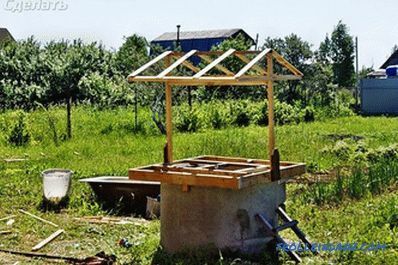 It is quite possible even for a non-professional who is familiar only with the basics of construction work to make a house for a well. 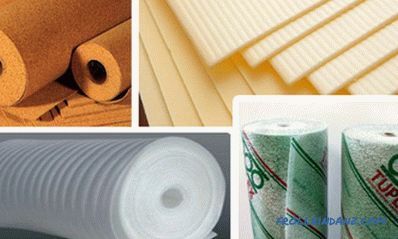 Moreover, with the independent production of a protective structure, it is sometimes possible to save a lot of money. 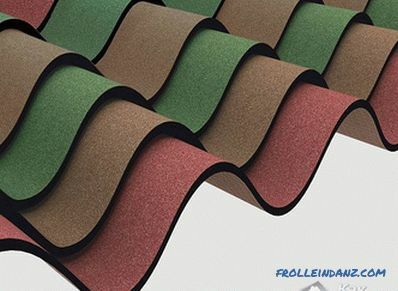 roofing material (roofing felt ). 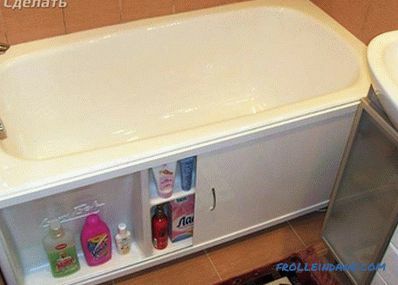 In addition, you should stock up with such necessary working tools as level, chisel, tape measure and screwdriver. 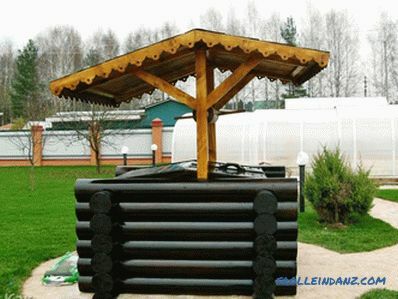 Source material for the arrangement of the frame of the house with a gable roof is a wooden bar and edged board. To prepare it, we will need four racks with a height of 50 cm and a set of edged boards tying the bars on top and bottom of the frame base. 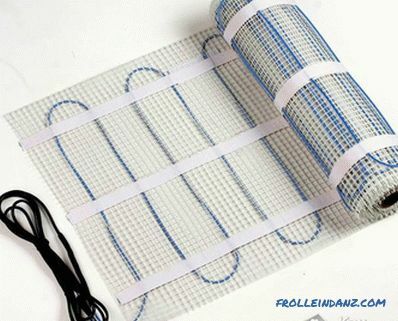 For reliable fastening of the structure, nails of at least 10 cm in length should be used. In the process of assembling the frame, its two halves are first prepared, consisting of 2 posts, connected above and below edged boards. After that, both the resulting structures are located around the well and are interconnected by elements of the strapping. It is easy to notice that the project (duo-pitch) chosen by us is distinguished by simplicity and versatility, since it allows to use the most "running" building material for the frame arrangement. 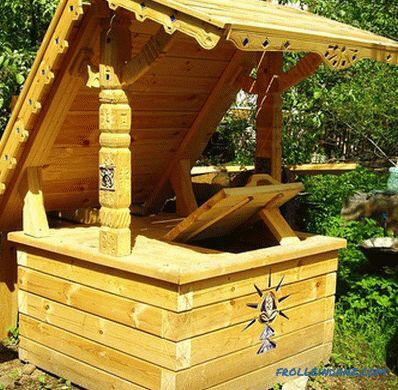 View a selection of photos of different designs of houses for the well. If you like something, you can transfer the idea to your site. Note that the strips used to make the battens should be packed at regular intervals (with a constant pitch). First of all, the upper ends of the rafters are cut at an angle and connected to each other with brackets. To increase the rigidity of the construction, the rafters are fastened with a bolt mounted 30 cm below the point of their connection. Then, recesses are prepared on the rafters for fastening with elements of the upper frame of the frame. Their fastening is carried out with the help of brackets or nails 120 mm. After this, the structure should be strengthened with additional stitches and fastened the truss trusses by means of two boards (a kind of ridge). At the end of the work, the resulting construction is covered with roofing paper, on top of which slate is placed. Seats corner joints are closed with special wind boards. 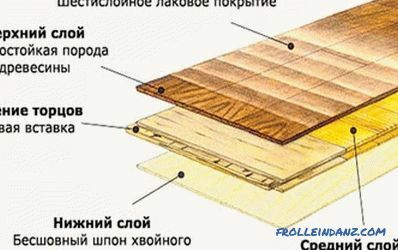 When making a house, it must be provided with doors made in the form of a simple board board. The doors are cut from the edged board to the size of the gable and fastened with wooden bars of suitable section. For their production you will need only two bars located above and below the canvas. 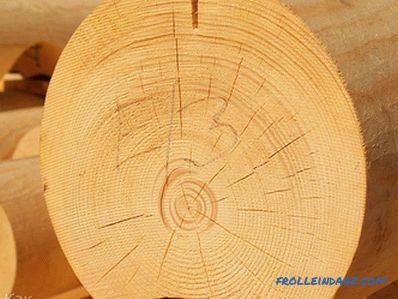 In order to increase the strength of the structure, it is possible to install another wooden beam along its diagonal. 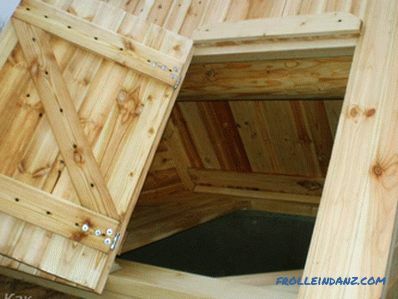 Thus, you will be able to completely hide the well under the roof, while the door will be located above its base. At the final stage of work, the construction gables are trimmed, after which the boards can be treated with special protective agents (antiseptic, for example). 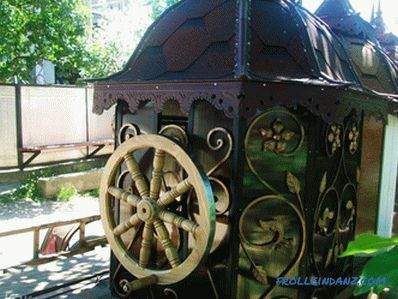 After it dries, all external surfaces should be varnished or painted with special wood paint. 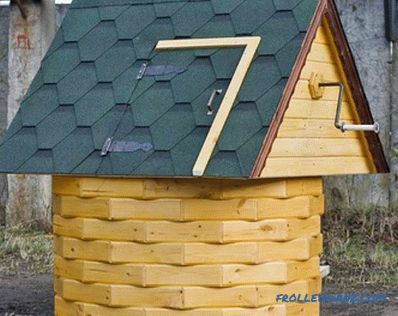 So the simplest house for the well is ready. Maybe you made a more complex structure? Share your experience with us by leaving comments on the article. 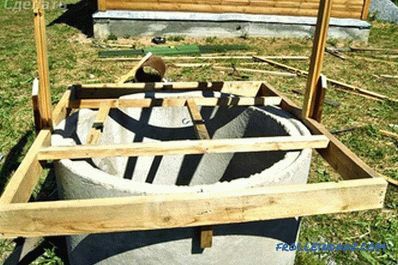 In the presented video you will see how you can make a house for the well quickly and in an original way. .